I have been reading a lot of Native Americans' way of life for school. One thing that Europeans (most notably Thomas Morton) noticed and could not explain was why were Native Americans so poor (in terms of possessions), if they lived in a land so rich (in terms of natural resources). Working on the assuming that it is human nature to desire to be rich and not poor, some Europeans were lead to question their definition of wealth. I now pose the same question to you; what is wealth and why do humans appear to have an inherent desire for it? Personally, I would define wealth in terms of potential leisure time, by which I mean how much time can a person spend not doing anything productive before non-trivial bad things start to happen. If I live paycheck-to-paycheck and work for an hourly wage, then I cannot decide to call in sick for a day without significantly threatening my ability to eat in the future. If I work at a job where my productivity is measured by long-term projects completed and am payed by an annual salary, then I can take a week-long vacation without upsetting my boss too much. This quote is directly for the book I have to read and is too good and relevant to not mention. Changes in the Land wrote: Marshall Sahlins has pointed out that there are in fact two ways to be rich, one of which was rarely recognized by Europeans in the seventeenth century. "Wants," Sahlins says, "may be 'easily satisfied' either by producing much or desiring little." Thomas Morton was almost alone among his contemporaries in realizing that the New England Indians had chosen this second path… Pierre Biard, who also noticed this fact about the Indians, extended it into a critique of European ways of life. Indians, he said, "went about their daily tasks with great leisure, for their days are all nothing but pastime. They are never in a hurry. Quite different from us, who can never do anything without hurry and worry; worry, I say, because our desire tyrannizes over us and banishes peace from our actions." People have an inherent desire for potential leisure time, because people inherently desire freedom. A person can spend their potential leisure time however they wish. Even if they choose to spend it working, they are still making a choose. The very existence of potential leisure time causes people to express their freedom to self determination. Because humans desire freedom by nature, they pursue wealth as a means to this ends. Wealth, to me, sounds like a word very much entrenched in modern interpretations. I think a better question to ask is what do people value, what do people think will provide them with more happiness. I'd reclass that as "security" rather than leisure. Has a lot of the same benefits, but I think it hits on human desire more directly. That is, leisure time is great, but that's not really what I'm thinking of when I'm in danger of losing my job - I'm thinking about how my future is uncertain (specifically, that I'm uncertain whether or not my basic needs will be met). Having a good amount of savings in my bank account isn't about leisure time, it's about security. I'm assuming you've probably heard of Maslow's hierarchy of needs? You can't move up until you've got the basics covered, starting with food and water, moving up to housing and personal safety, then to social stuff. Humans are social animals and need that to be happy (to some extent, at least), but you can't get up there unless you have the security to maintain your place higher up the pyramid. Wealth gives you that security. 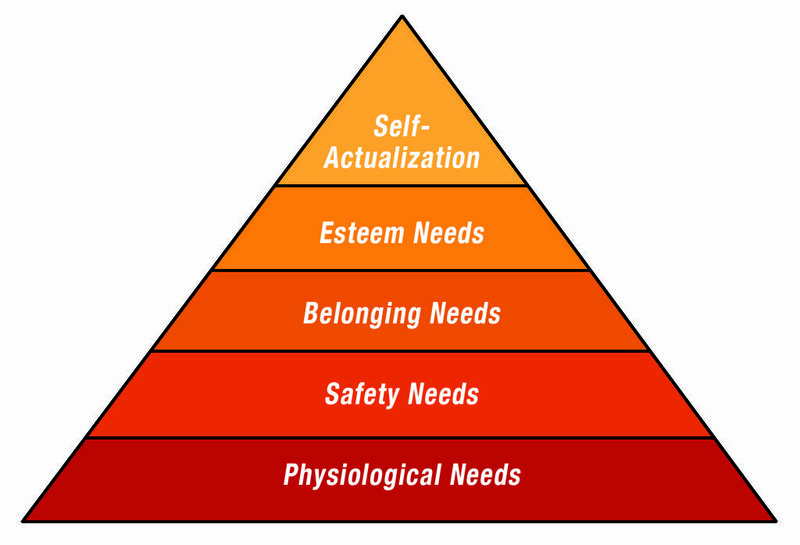 Even further up the pyramid (and depending on your culture) wealth can still help you fulfill your needs. Being rich allows you to belong to certain clubs, for example. It might help with your esteem as well (self-esteem or otherwise). Once you get to self-actualization you might realize it's a bit meaningless and give away 80% of your wealth like Warren Buffet did, but you'll notice that he still kept a few billion for himself. Plenty enough to feel secure in the higher tiers of the pyramid here (and though he likely did it with the best of intentions, you can't deny that giving away that much money would have increased his social standing!). To bring all that back to your original point, I assume that's the difference in culture showing between the Europeans and the Native Americans (not that I'm an expert on the Native American culture 500 years ago). For example, if they've got social tiers based not on money, but on how much you help your neighbor, those who keep their own wealth will be in the lower tiers. You keep enough to make sure your basic needs are met, then give the rest away to make sure your social needs are met. Makes sense. Bingo. That's why some of the most efficient means of redistributing wealth from the rich to the poor are social safety nets imo. If I don't have to worry about potential medical bills if I lose my job, or finding money for rent or food for my children, well, that is far more valuable to my peace of mind than having a few extra dollars in the bank after pay-day. That's why the Scandinavian countries consistently score at the top in happiness indexes - even amongst the rich. It's like a society-side insurance policy, funded by each according to their ability, and drawn down by each according to their need. Bring on the citizen's wage! *This is a joke, meant to show again that leisure time is not what wealth is about. The citizen's wage (or social security or whatever you like) has nothing to do with leisure time and everything to do with security. Value is ultimately equivalent to freedom, in the broadest sense: the ability to do the things that you want to do, to have the experiences you want to have, and the lack of things holding you back from doing those things and having those experiences, things that would instead force you into doing things you don't want to do, subjecting you to experiences you don't want. Both security and leisure are cromulent interpretations of "freedom" like that. Security is the ability to prevent things you don't want to happen to you from happening to you, to avoid having to do things you don't want to do, and have experiences you don't want to have. Leisure is equivalently, more straightforwardly, the opportunity to do things that you want to be doing, because you don't have to be doing other things that you don't want to be doing. We can talk about different forms of wealth, and usually without qualification people seem to mean material wealth, having the things you need to do the things you want and avoid doing things you don't want, but it's not at all uncommon to hear people (usually those lacking in material wealth) calling their social relations, their friends and families and other loved ones, a kind of wealth, and that doesn't sound wrong to my ear. ETA: It wasn't the basis for my main post above, but it turns out that "wealth" actually has its roots etymologically in a word meaning "will" (as in "what you want"), so this "wealth == what you want" idea seems to go all the way back. I agree that we as a culture (early 21st ct western/globalised culture) mean material wealth when we say wealth. I therefore second Zohar's claim. What makes me happy in life, I think, is to experience new things. Travelling, trying out new activities, making music with new people. Some of this depends on money, which I don't have (not in large amounts, that is). We use 'material' for two very different concepts. On the one hand, it refers to tangible objects. Material wealth is having physical stuff. On the other hand, it refers to money, or financial claims that will give you money in the future. If you look at Thomas Morton discussing the poverty of Indians, he's very much talking about that first definition. Tangible stuff. The Indians have plenty of food, but few 'utensils’, 'commodities' (which in those days meant something useful bought from a shop), or decorative 'baubles'. They have good 'rayment' (clothes), but not many pieces. They have housing, but very simple because they move around. It's interesting that we talk about financial wealth as if it is the same category as such tangible wealth. Material, as you say, while it is anything but material. And while I have a cornucopia of thousands of utensils, commodities and baubles, they don't add up to much in euro-denominated value. My wealth is financial assets, a house and some land below the house. All tangible things besides the house are a rounding error. My wealth is not actually very material, and the same goes for most people in the 'material' modern world. To get back to 17th century native new Englanders: what's the closest thing they have to a pension fund, or a mutual fund? If we consider a pension fund as 'material' wealth, we could count how much spoons and jackets and other material objects they have. But that might be missing the point - the closest analogy is not material objects, but a promise that other people will provide for you when you're old. Our financial assets are a version of such promises, just unusually explicit and detailed. But not more material. Something similar applies to land: my land 'ownership' is very explicit by 17th century Algonquian standards. And it is, on paper, worth as much as perhaps all the utensils in a 17th century native village . But in the end it's just 251 square meter for 1 family, surely a laughably small plot by their standards. I don't think you can ponder wealth and Native Americans (or should I say First Nations, I think this is more common in Canada) without considering the potlatch. Presumably the potlatch can be seen as a useful form of socialism (hopefully those in need get enough), extreme wealth signaling (much like conspicuous consumption), and social event. For anthropologists it lays out the hierarchy of needs for the peoples who practice it extremely well (how much they spend on potlucks vs. how much they spend on themselves). I'd be curious how such ratios change over time. There are two questions here, firstly why do we put so much emphasis on the accumulation of stuff, and secondly why are we busy all of the time rather than living the life of leisure that we ought to. If your society is based on a military hierarchy then it's fairly inevitable that you will be busy all the time. The leaders will want to maximise their ability to wage war, which means their subjects will have plenty to do. It also means that it's best to have as high a population as possible, thus putting pressure on resources, and again meaning that subjects will be constantly struggling for the necessities of life. If the Native American societies managed to avoid this, well good for them, but I have my suspicions. In many societies there have been people with lives of leisure, but these have been those at the top, supported by the work of the rest of the population. It seems likely to me that plenty of people are working hard, but the leisured class are more visible. How much you desire leisure, or anything else, is relative to everything else you desire. No real one right answer. Money makes a convenient good enough abstraction for it mostly, at a societal level. Naturally, if you desire something different from the herd, the composition of the wealth you pursue will be different from average, and you may view some pricing as ludicrous.